Love at first sight – sight words that is. 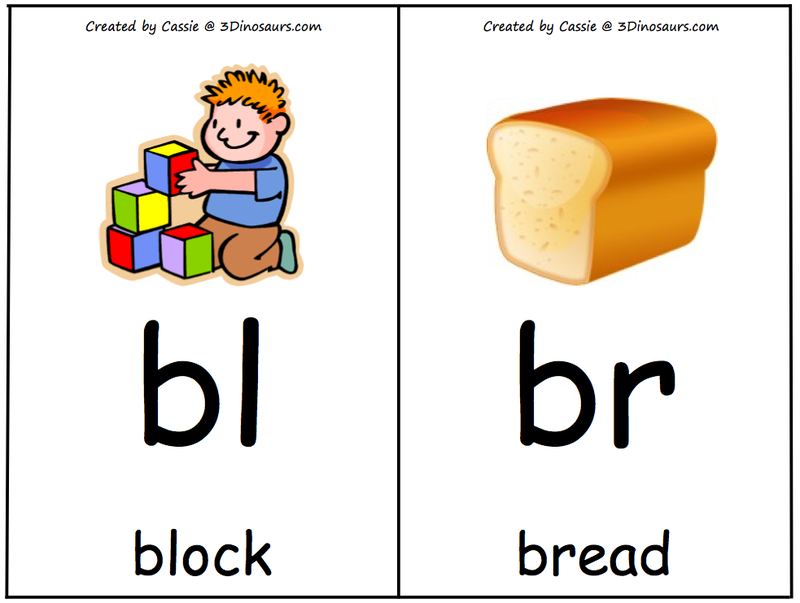 Using the Dolch sight word lists found here, I created a Power Point presentation for each. All I wanted was a presentation that showed the word, and then a simple sentence using that word in context. My goal was to create sentences that Mason could read, either with words he already knew, or words that could be inferred through the picture displayed. My initial thought had simply been to sit down at the computer and go through the slideshow with Mason. Standing by the television one evening, it dawned on me…show the lesson on the tv. So, I hooked up the computer to show on the big screen and voila, Mason’s lesson large as life in our living room! He thought this was amazing and devoured List 1. The next day, I prepared List 2 and he devoured that as well. I could tell the fact that his work was on the big tv screen was exciting. The next day, he complained because we simply reviewed List 1. This led me to create Lists 3 and 4. We then moved to the next level of technology…a presentation clicker. From my days in public teaching, I had a presentation clicker to use with my Power Point presentations. This device allows you to change the slide remotely. I showed Mason how the clicker worked, and now he was able to practice the word lists at his own pace. Oh the power of technology. I cannot tell you how many times he went back and forth through the lists, reading the words and sentences. Then again, of course, one list was not enough…he wanted to use the clicker more with different words. By all means, go for it! These Power Point presentations have been such a blessing to our hosuehold, we want to share them with you. Please note, these are labeled as PreK lists. Sight words are really not grade specific and each child advances in their own unique timing. There will be more lists and presentations to come for additional Dolch sight words. Please note, these lists may be downloaded and housed on your personal or school computer. It may be used with individual students, collaborative learning groups, or classrooms. Please feel free to adapt the words, sentences, or images if needed. Do not sell this or any part of the template. Do not directly link to the PowerPoint file, if placing on a blog, please give credit and a link to this blog post. If sharing the file with others, please direct them to this blog post to download. Thank you! Write the numbers 2-12 on a piece of paper. Roll two dice and add the numbers showing. Cover up or mark off the number on your sheet that matches the sum rolled. The first person to cover or mark off all the answers wins. 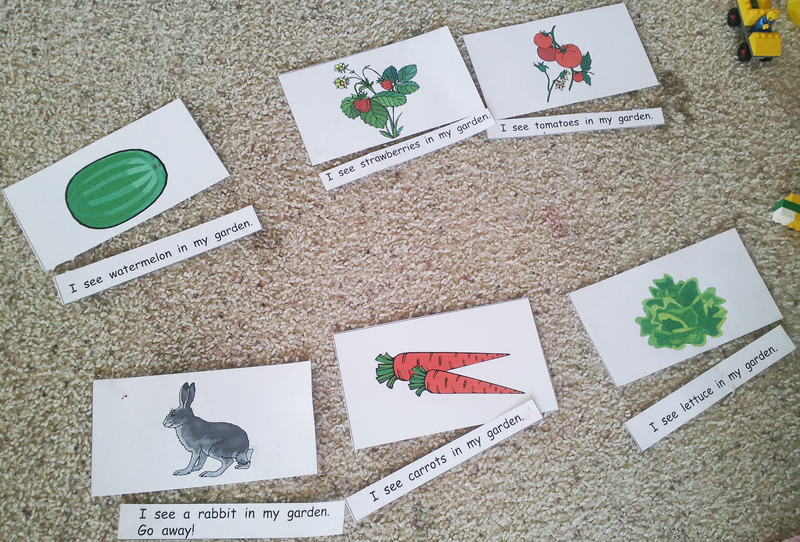 Mason’s reading has really been progressing recently, so I thought it would be good to begin to add to his sight words. Using the Dolch sight words, I created the PowerPoints discussed above. 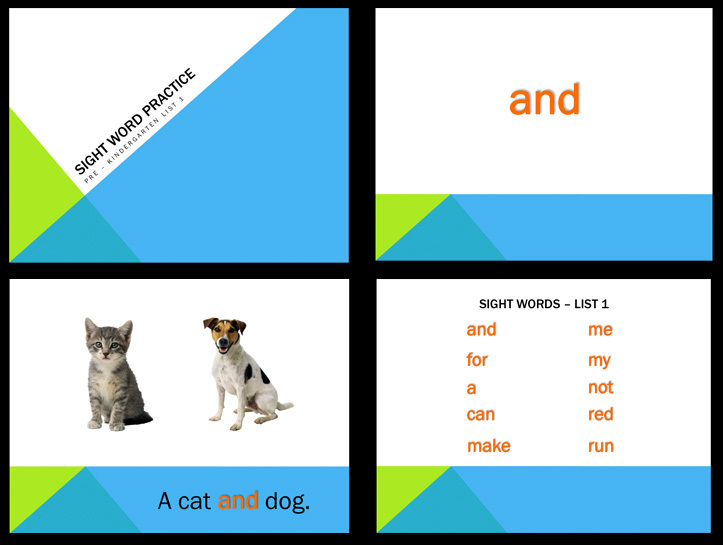 Each Power Point presentation is comprised of 10 sight words and a sentence to accompany each of the words, as well as a list review slide at the end. This could be a great way to do a spelling list if desired. We went to the library and Mason requested a specific book. This was an excellent opportunity to show him the book identification letters and how to find a book on the shelf. Very teachable moment that turned into a wonderful life lesson.